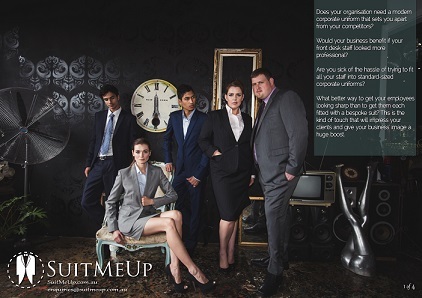 Would your company benefit from an image boost? One of the easiest ways to present a professional image is by putting your people in an outfit that not only fits them, but gives them a level of confidence that they can’t get any other way. A professional appearance can do wonders for the profile of your business. 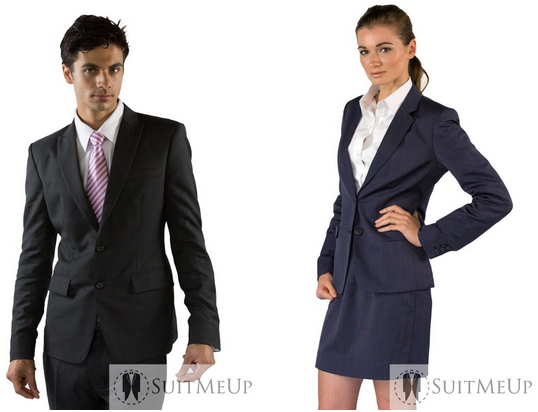 We are a leader in tailoring bespoke suiting packages for Australian businesses of any size and in any industry. Our experience personal touch ensures that we will do all we can to ensure your employees look fantastic. Please click the image below to check out our downloadable PDF flyer with more information on what we can offer (opens in new tab). Please click here to take a closer look at our Suit Galleries. Any questions you’d like answered? Please don’t hesitate to Contact Us. We would love to hear from you.